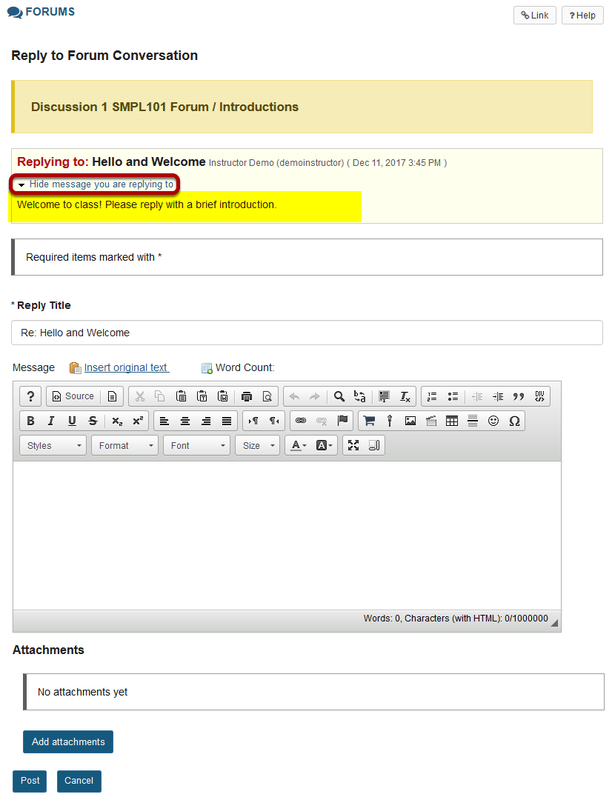 Sakai Guides and DocumentationFaculty Guide Set Up a Discussion ForumHow do I reply to a forum post (i.e. conversation)? 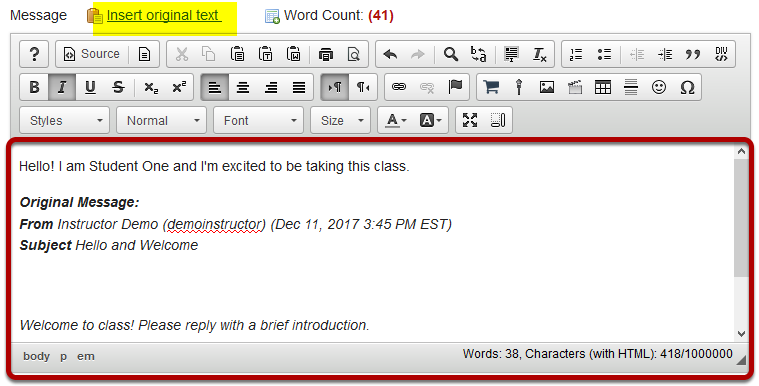 Next: What is the Rich-Text Editor?